I like this definition, and I want to expand on it a little. Many people mistakenly believe that interaction between the user and the product must exist through specific inputs (from the user) and outputs (from the product). Think of it as a digital conversation between you and your phone. One prime example of this interaction is Apple’s Siri. I personally never use Siri because I find her answers more frustrating than correct, and because I feel like a doofus talking to my phone (especially in public). That song is hella catchy, right? If not for the awesome music and equally fun graphics, there is one thing that is profoundly interesting to me. The whole video allows the user to interact with the screen without actually inputting any information. It’s just a fake trick, to be honest. Not that there’s anything wrong with that; I find it refreshing and really cool. I can imagine little kids getting their grimy fingerprints all over their parents’ televisions when this song comes on. So what’s my point? I’m getting there! The video made me stop and think for a minute about the preconceived notions we carry about UX/UI design and how those notions would do well to be put aside. Even taking the most tired example of Google Material Design, whose design guidelines have been lovingly ripped off pretty much every day since they were released, has some wonderful examples of interaction animations to go along with the concept of layers of paper between the user’s finger and whatever magic is behind that millimeter-thick glass screen. Instead of pretending to push the button inward (like a real-life button), the interaction actually acts as though the button is coming forward at the user. This animation decidedly does not follow the notions we have about what a physical button would do when pushed, because the buttons on a phone screen are decidedly not physical. As I settle into my new position as a Product Designer, I am really excited to try out some new, weird stuff that might not work out so well. I guess my goal here is to think more outside of the box (or screen, if you will) and try to find solutions to problems that don’t already bore everyone to sleep. I am lucky to be entering the company at a point where a lot of stuff is being questioned and redesigned, so there’ll be a lot of opportunity to do that! For example, right now I am designing a sort of alert notification for the setup of an external account within a CMS. Obviously, that alert could pop up in the top right corner of the screen, just where everyone would expect to find an alert. And there’s definitely something to be said about placing things where people expect/want them to be. We’re all humans with natural human tendencies. But what about this. You’re going along, entering information, and maybe the notice gets typed in (in mock-human typing speed) underneath where you’re entering information. It’s sort of like a personal communication from the CMS, politely reminding you that you missed something. I know it’s crazy, but we live in a world of a constant need for feedback. Just take the way Facebook has developed the Messenger app over the past little while. It used to just say “Chloe is typing a message” or whatever. Now, you also get a different notice for each of message delivered, message received, and message read. 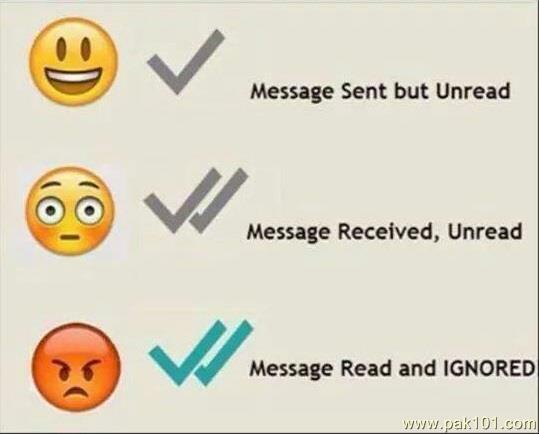 It’s the same thing with What’sApp, which, if I am not mistaken, actually adopted this process first. It creates a little bit of tension when we know someone has read our message and chooses not to respond. But that’s just life, right? As technology advances and removes the barrier of privacy between our lives, we can’t go blaming it for revealing the uglier side of things. Side note: whenever I iMessage someone who has left “Send Read Receipts” on, I shake my head in disbelief that they could be so careless with their private information. Why don’t they care that I can see when they’ve read my texts? Silly, I know! Interesting info, i will try it. It's hard to find these kind of guides. Most of them are about web design, but today the most important side of design is UX. Even standard templates from themeforest are not bad. And when we are looking for ux design tips, we can find only articles without real secrets.